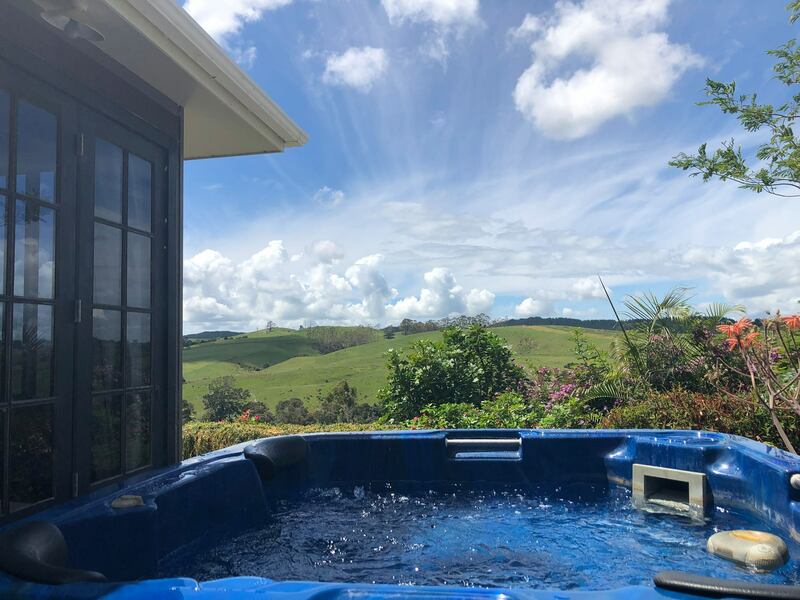 We have amazing views and beautiful gardens, a fish Pond at the front entrance, Relax and unwind on your arrival with our complimentary Smoked cheese made in our cold smoker and a bottle of bubbly, Enjoy the Tui’s, wood pigeons & Peacocks in the paddocks and tree’s on our property, Our pool is inground liner and is in a private setting, Dinning doors open to the spa relax and enjoy scenic views . 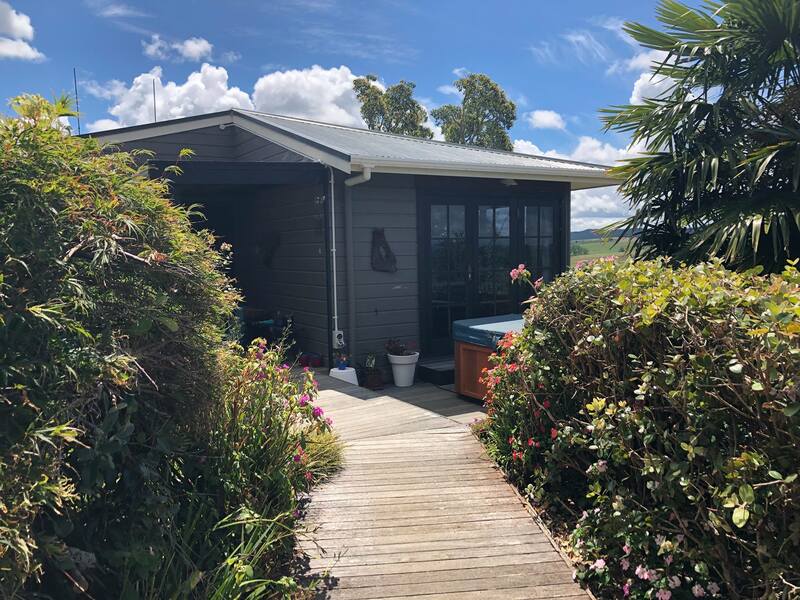 Watch the morepork from the lounge or dinning room hunting for his prey, We have 2 horses that are on the property that are friendly and love a carrot. We are only 10 minutes to Paihia beaches, cafes, restaurants and Historical Waitangi Treaty Grounds & Museum. Organise a boat or sailing cruise out to the Hole in the Rock maybe see a dolphin. 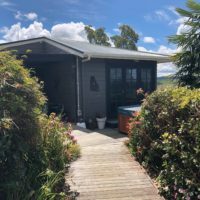 We are only 15 minutes to KeriKeri , local crafts and Saturday morning Farmers’ market. Visit local Wineries , watch chocolate being made or stop for a drink or lunch at the café next door visit the stone shop. 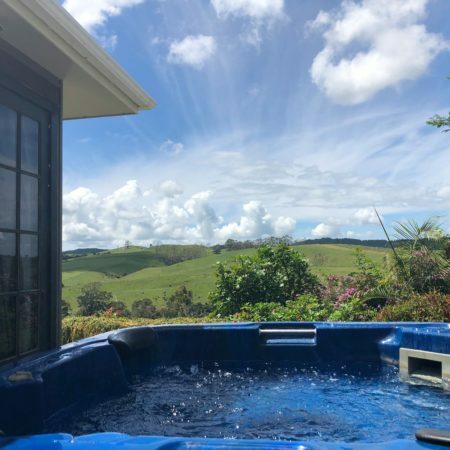 arrange pickup and drop off to the Kerikeri Airport. I am a Massage Therapist and have a massage studio on-site which is available if you are wanting to book a massage i have skincare products available, I am respectful and will give you your privacy however we will be on a shared driveway as my massage business and living quarters are onsite.